Classic O.G. 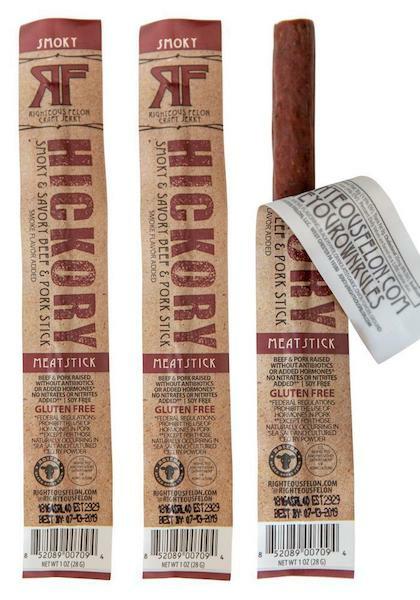 Hickory flavor now available in snack stick form. This 1 ounce all natural toob features your classic smoky & savory flavors with hints of garlic, onion, cracked pepper, and sea salt. This luxurious toob is comprised of 60% beef and 40% pork giving it the perfect texture with unadulterated tenderness and a good, ol' fashioned snap. Just like their jerky, the beef is sourced exclusively from Maryland's Roseda All-Natural Black Angus Farm and the pork is sourced from an all-natural hog farm in Iowa that raises their animals free of growth hormones and antibiotics. The O.G. Hickory Toob uses all-natural ingredients with no artificial additives or coloring and features 8g of protein per serving with only 1g of sugar, making this the ultimate healthy and portable protein snack.